Drinking water helps regulate body temperature, protect vital organs and even improve your skin. But sipping a humble glass of water can get a bit boring at times, prompting you to go for something a little sweeter. 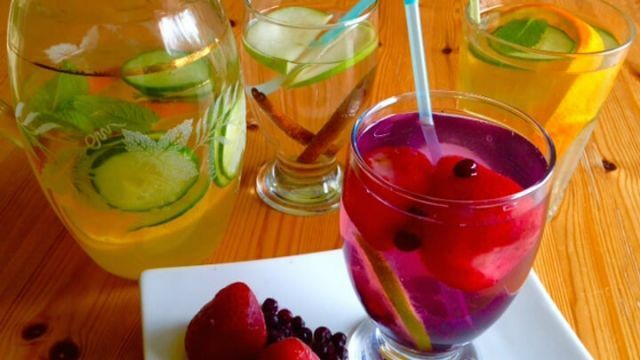 So, why not sip on infused water, loaded with fruits, veggies and herbs? These supercharged waters will not only help you stay hydrated but also flush toxins from your body and help keep your weight in check. You may have sipped a glass in your favorite spa, health club or even in the lobby of a fine hotel. Infused water is all the rage and for good reason. While water alone is key to boosting metabolism, the addition of fresh fruit, veggies and herbs creates a detoxifying concoction. Keeping a pitcher of your favorite blend in the fridge will flush toxins from your system and fill you up so you don’t fill up on junk. Infused water can also help your body release fat cells, help move food through your system for better digestion and help keep your organs healthy. Additionally, you’ll have less muscle fatigue during and after your workout, your mood will improve and you’ll generally feel more vibrant. Remember: for the ultimate infused water choose organic when available. Pass the infused water, please! If you need to lose weight, you suffer from uncomfortable bloating caused by eating too much salt or you’re experiencing a hormonal fluctuation, then water-rich foods such as citrus fruits and cucumber can help. Cucumber helps to fill you up, it is a natural diuretic and it is great for belly fat. Tangerines increase your sensitivity to insulin and stabilize blood sugar. Peppermint helps calm your stomach and aids digestion. Combine all the ingredients together in a pitcher. Let it infuse overnight and drink it warm or chilled. 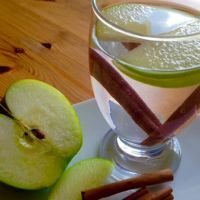 Apple cinnamon water is great for helping you slim down and ridding your body of harmful toxins. It also helps to boost your metabolism. Cinnamon protects the body from oxidative damage caused by free radicals. It also helps the body fight infections and repair tissue damage, according to Authority Nutrition. In fact, this perfect spice is loaded with minerals, including manganese and calcium, and contains a number of volatile essential oils with potent anti-inflammatory properties. Add apple slices and cinnamon sticks to a pitcher and fill with water and ice. Place in the fridge for at least an hour before drinking. Here’s another belly-slimming and detoxifying water. Strawberries and blueberries are loaded with vitamins, minerals and other anti-oxidants, which are excellent for anti-aging and restoring vitality to your skin, hair and nails. In addition, limes help fight inflammation. Add all ingredients into a pitcher and fill with water. For maximum flavor and infusion, keep in the refrigerator overnight. Enjoy! 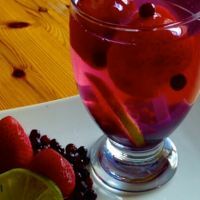 Hey Buddy!, I found this information for you: "3 Fat-Flushing Infused Water Recipes". 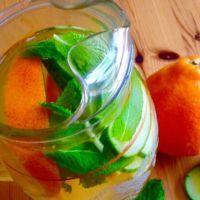 Here is the website link: https://www.thealternativedaily.com/3-fat-flushing-infused-water-recipes/. Thank you.